I had a few earns to run this morning and so I grabbed camera for the ride along. 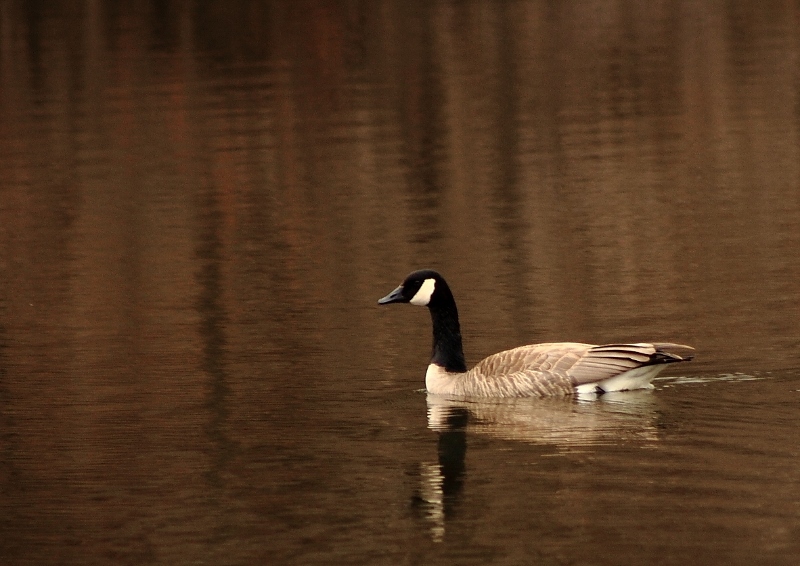 Being I was near a back water bay on Lake Menomin and was looking for any water fowl. 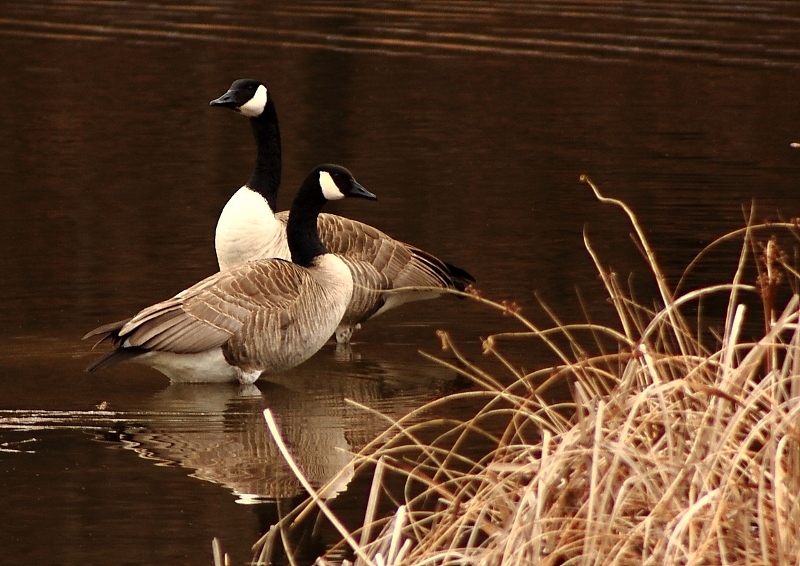 I happened to find some Canada Geese enjoying their stop in our fair town. Over the past couple of years I have been with a group on Facebook called “Photo Challenge.” The first time I was introduced to the group was when I was looking at my brother-in law’s blog and saw he had posted a photo on their page. I joined the group and started taking up the challenge each week. Some of the weeks- its a snap! Other weeks- I have to wave the white flag. But each week I try to keep a open mind and look for a the opportunity to photograph a subject to represent the challenge of the week. There are weeks when I outburst with a comment like “Do they know where I live?” Try looking for a leaf in the dead of winter or a bud on a tree with snow still covering the ground. Why not ask for “colored foliage” in the spring? Seems to be the perfect challenge for us in North America. So I clean off my glasses and start observing the world around me and to my amazement, the photo opportunity are right there in front of me. This past week, the challenge was “Numbers- Prime Number”. Each week they give us a mini syllabus with photos on the challenge of the week. They asked us to incorporate a prime number into a photo. Not a photo of a number, but the number would be in the photo. They also gave us a web link to the first 1000 prime numbers. I opened the link and printed the list. The list was a page and a half long. It started with the number 2 and ended with 7919. Now it was time to start looking over the list and find something meaningful. I took the sheets and a pen and started circling numbers on the sheets of paper. That same week I was entering my son-in-law’s ancestors into my Family Tree program. I started looking at the prime numbers as birth years, marriage years, and death years. I focused on the numbers from 1600- 2000. That’s where most of my genealogy information is dated. There are 54 prime numbers between 1601 and 2011. I started asking myself if a person was born in a prime number year and died in in a prime number year, what would be the greatest age a person could be and still have a prime age. Without manipulating the numbers, it looks like 3 years of age. A case could be made if a person was born late in a prime year and died early in a prime year they could have a prime number age. But that is working too hard to make the figures work. The next thing I started thinking about was home address. I looked my own address and quickly realized it wouldn’t be a prime number because it ends in a 4. 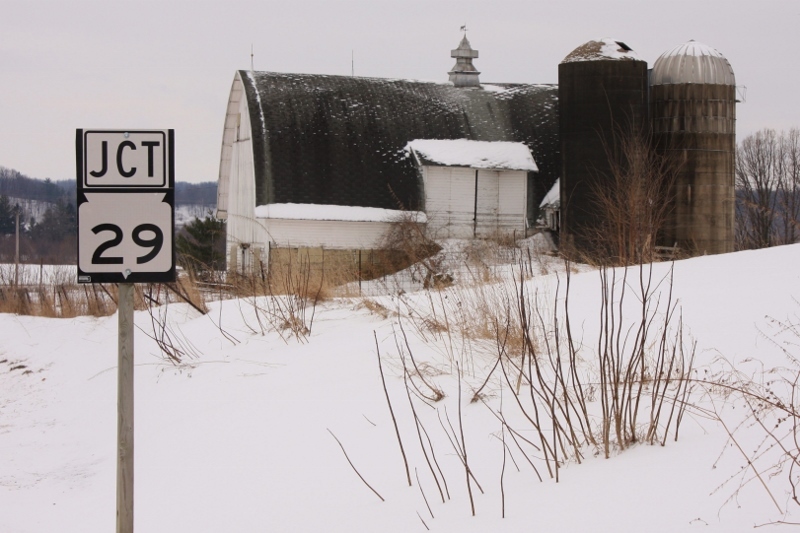 As I dove up and down the country roads of Dunn County I spotted many prime numbered addresses. With careful observation, I noticed all the even numbered homes were on the South or East of the road. Being they were even numbered they would be devisable by 2 and thus not a prime number. Now my eyes could stay focused on the North and West sides of the roads. 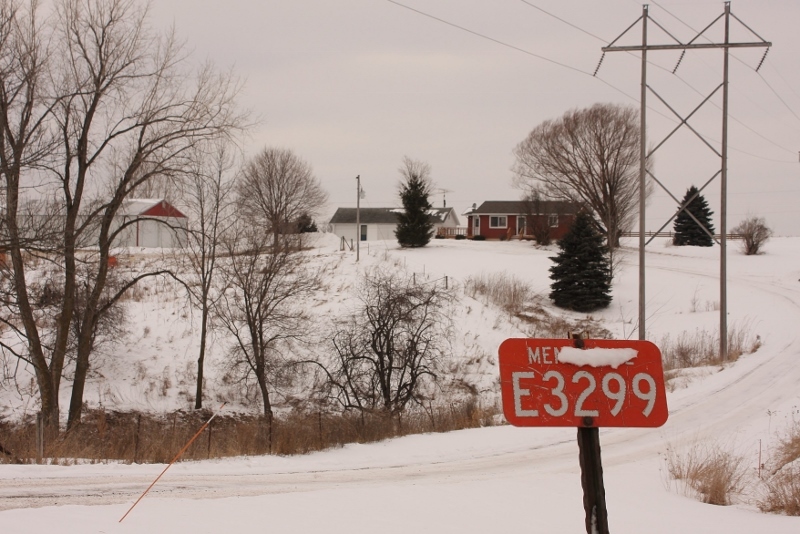 The road numbering system used in Dunn County makes most of our roads ending in a zero. Again not a prime number. But I did spot 2 Wisconsin State Highways in our county at are prime numbers. 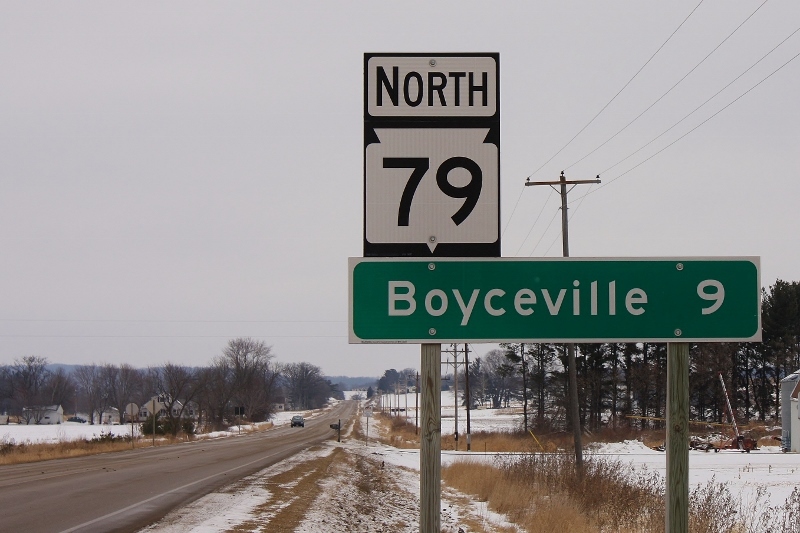 Highway 79 is a short drive consisting of 17 miles. It starts at the intersection of US Highway 12 on the south and ending in the small town if Connersville on the North. Then there is another State highway crossing Dunn County, Highway 29. Highway 29 is a much longer road crossing the entire state of Wisconsin. 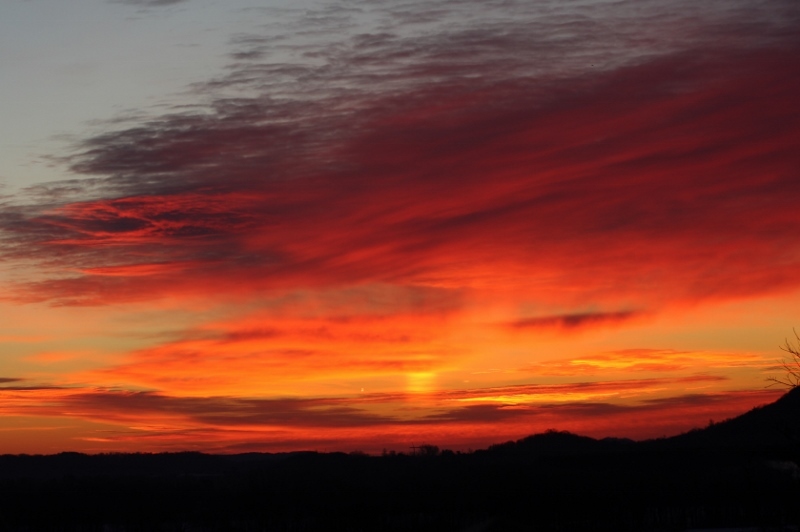 Starting in Prescott on the west side of the state, on banks of the confluence of the Mississippi and the St Croix rivers, the road travels eastward for almost 300 miles ending in Kewaunee on the shores of Lake Michigan. Highway 29 is flanked by the dairy industry along its pathway across the Dairy State. There are two other towns that highlight another industry here in Wisconsin, Paper, and they are Wausau and Green Bay. Wisconsin is filled with Rustic Roads. There are 117 roads spanning more than 669 miles. These are the back roads of the state. These roads are to be traveled at a slower pace and to enjoy the beauty of Wisconsin. 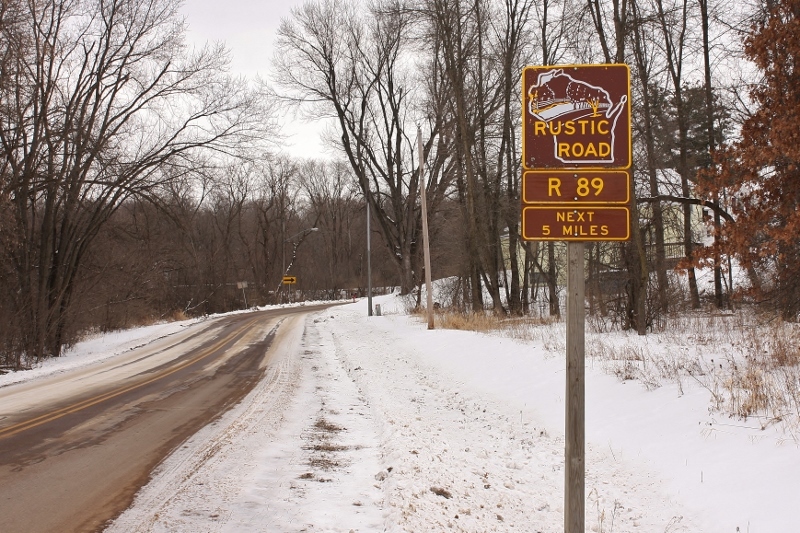 There is a Rustic Road right here in Menomonie. Rustic Road 89. The road parallels the Red Cedar river for 5 miles. 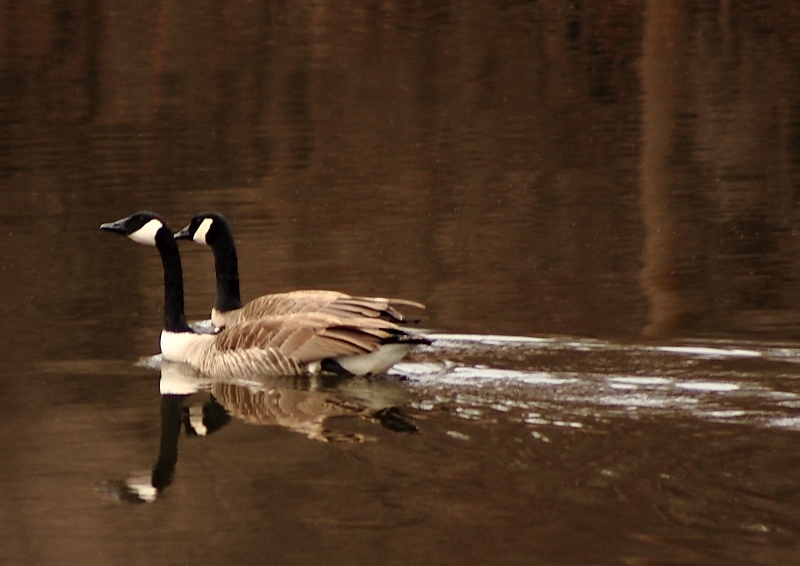 Showing off dairy farming, the small town of Irvington and overlooks of the Red Cedar River. What about downtown Menomonie. The grand gem of Menomonie is the Mabel Tainter Theater. This is one of the top 15 most beautiful theaters in the world. The theater was built as a memorial to Mabel who died at the age of 18. 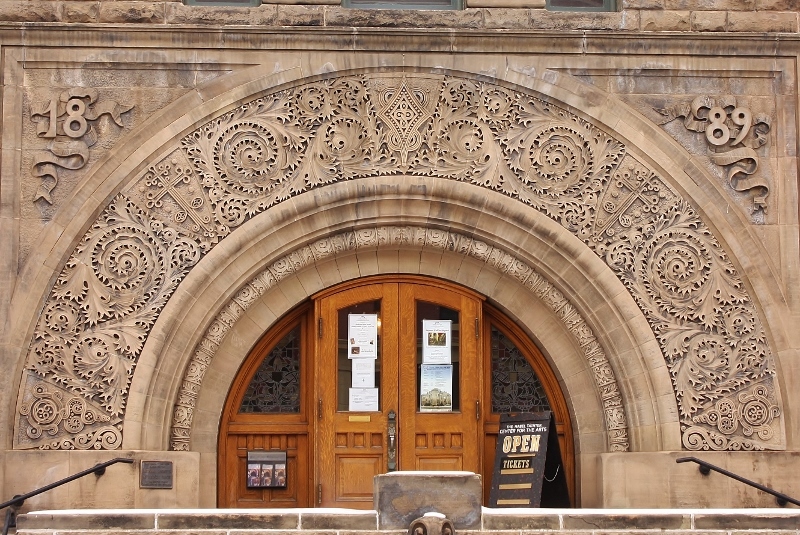 The date on the front doorway is 1889. Again another prime number. The theater hosts many performances by artists both locally and regionally. Then I expanded my thoughts. 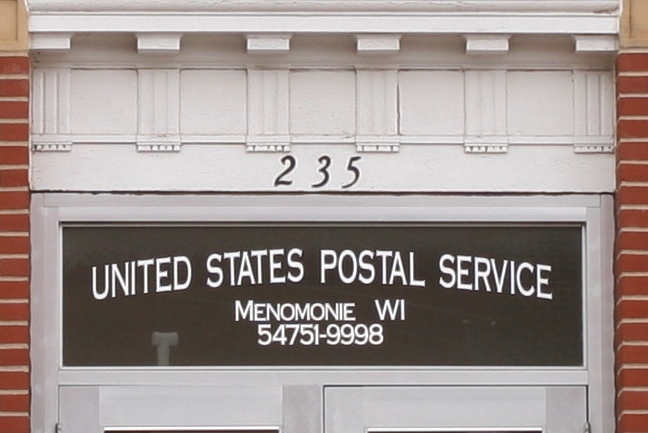 What about the postal zip code of Menomonie. Back to the internet for a little more help. Sure enough! 54751 is a prime number. This is a brief look at the Prime Numbers here in Menomonie. I was fascinated by all the prime numbers around me every day. Take a look in your world and see how many prime numbers are around you each day. This past Christmas my wife gave me a new camera. Well it isn’t band new, but an upgrade from the camera I have used over the past couple of years. I wanted to see how much better the photos would be with the new camera. 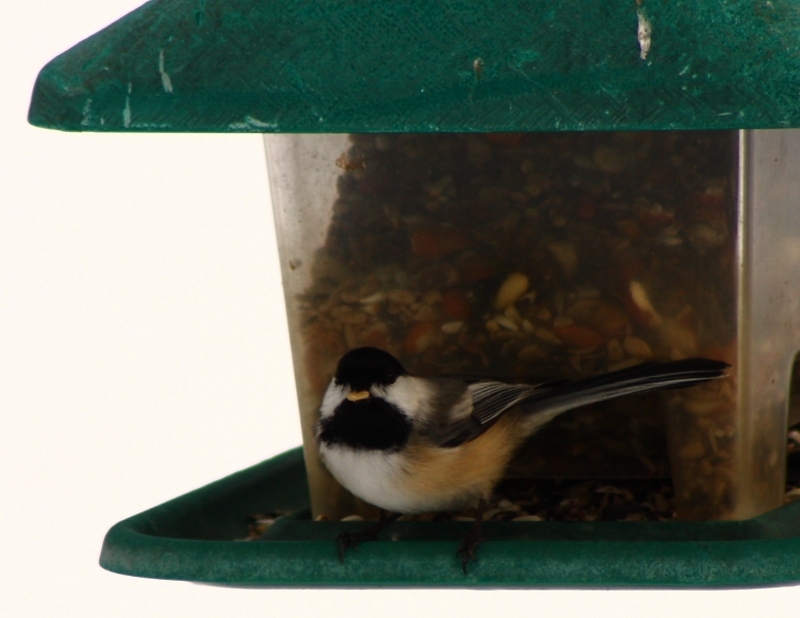 I put my 75-300mm lens on the camera and snapped a few shots of birds feeding at the feeders in our yard. These photos are from a month ago. The day was cloudy and the ground was covered in snow. 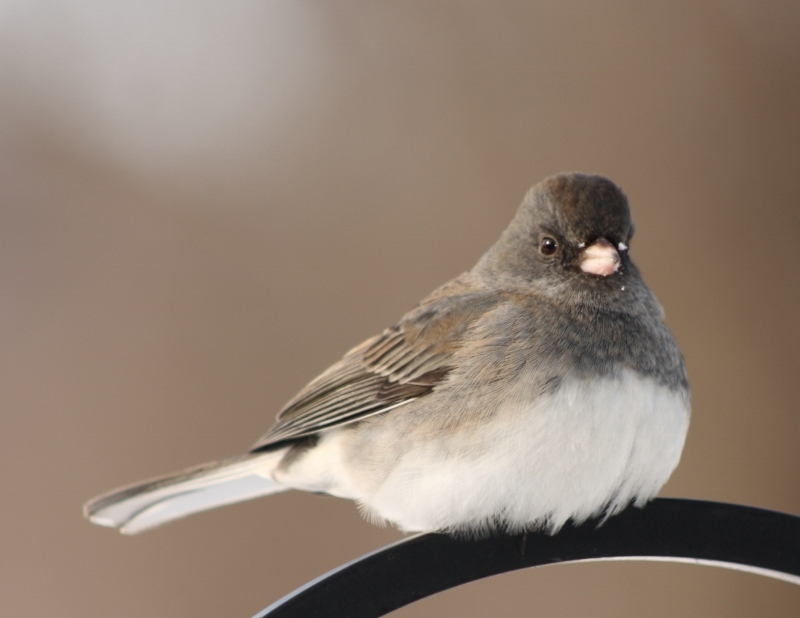 The one feeder is about six feet from the front window of the house and the other feeder is about forty feet from the back of the house. 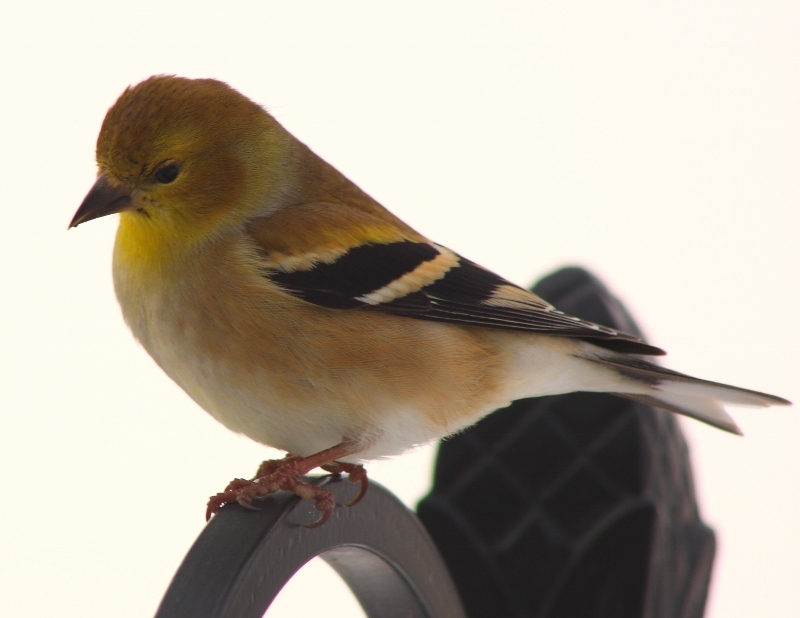 I think the camera did a nice job of capturing the details of the birds. I did a little enhancing and cropping of the photos. I am very pleased with the results of the new camera. 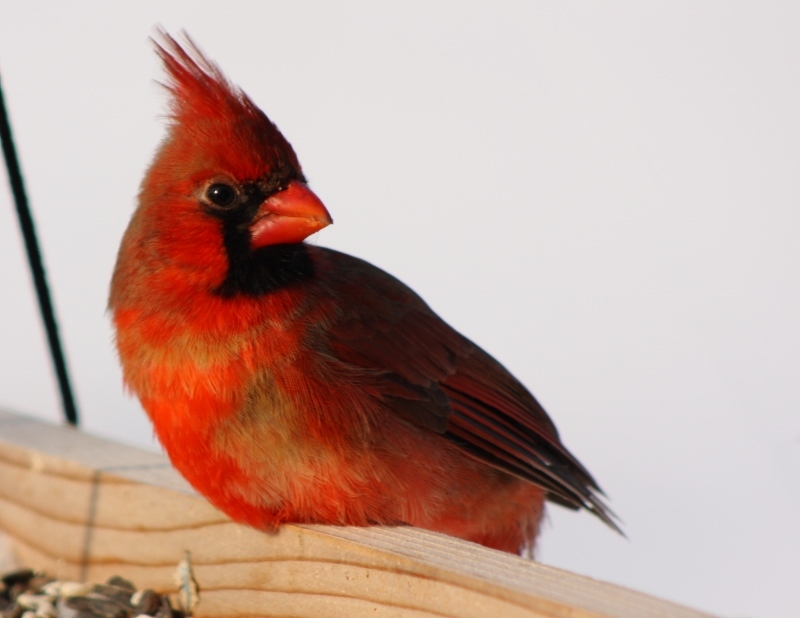 Enjoy the portraits of the feathered visitors to Prickly Ash Farm. 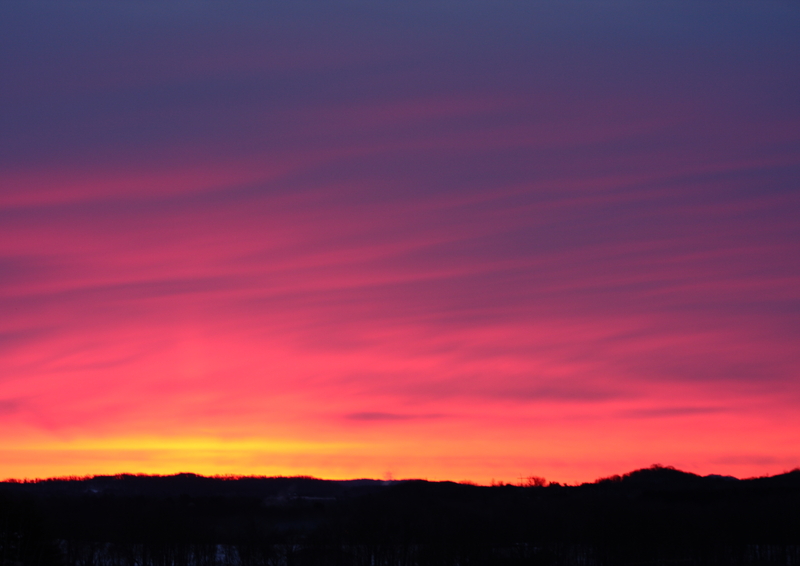 The Friday morning sunrise shows its great glory on Prickly Ash Hill. In 2006 Laurel had some business to attend to in Baltimore. I said I would like to ride shotgun and take in the sights of Baltimore and do a day trip to Washington D.C. Baltimore was a wonderful city rich with early America history. We had made our way out to Fort McHenry to tour the fort. This is the site where Frances Scott Key penned the poem The Star Spangled Banner. The sights and hallowed ground has given me a grater understanding of our National Anthem. On that same trip we took a day trip to Washington D.C. The one day trip turned into two one day trips to Washington. The most impressive site in Washington was the World War II Memorial. The one vision that has stayed with me is the Gold Star Wall. I tried to take a photo of the wall and I didn’t have a wide enough angle lens to capture the size and scope of the men and women lost in the war. I don’t know why that vision found a place in my mind and stayed. In 2013 Laurel had a conference in New Orleans. Again I rode shotgun. I hadn’t been to New Orleans since 1976 and so I thought it would be fun to reinvestigate the city. On my daily outings I came across the WWII museum. It was an overload of history. 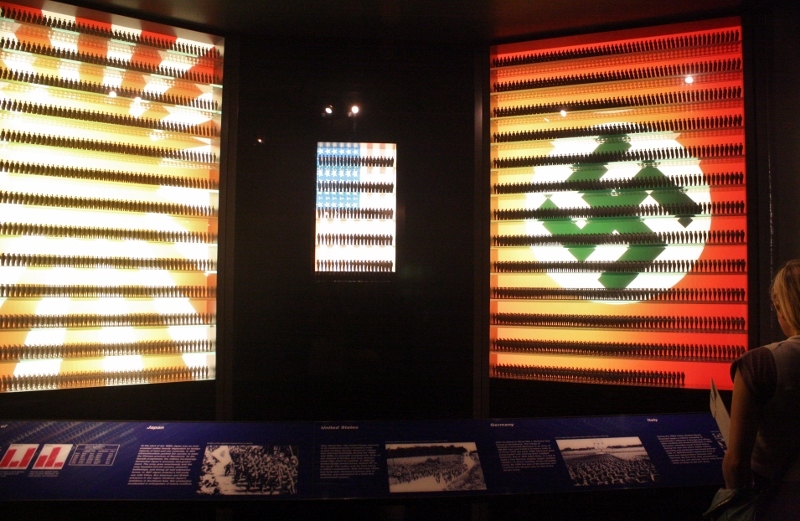 The first display I saw was a comparison of the military size of the three nations in WWII. It stunned me how small our military was compared to the German and Japanese. In the display they used a military man to represent 2000 men. Again that vision has stayed with me. Last April Laurel’s Uncle Joe passed away. As the house was being cleaned out of livelong treasures I asked for the photos in the den upstairs. I wanted them for my genealogy work. There were 3 boxes of photos. Many of the photos do not have any information on them. No names and no dates and leaving me with a guess game. As I looked thru the photos I came across a black and white photo of a young man in a naval uniform. I turned the photo over and there was some writing on the back. Hand written in pencil was “Uncle Joe”. Figuring the photo was from 1940’s I quickly realized “Uncle Joe” was Laurel’s Grandfather. Then someone took a marker and added the word “To” before Uncle Joe and in the upper right hand corner wrote “Donald Kraker Died at Pearl Harbor.” Wow! In the 34 years of being married into the family I had never heard any stories of Donald. I had always heard of Laurel’s Uncle Joe joining the Navy and just after he did the Japanese surrendered. His claim was the Japanese didn’t want to tangle with him! Questions quickly flooded my mind. The first and biggest, which ship was he on? Thank you internet! So I did a search on the internet and looked of a casualty list of the dead on December 7th, Pearl Harbor day. I looked under the “K” and sure enough there was the name of Donald J Kraker. In the next column was where he died and it read “Midway Island, NAS.” Midway Island, what’s that got to do with Pearl Harbor? Back to the internet for more research. Midway Island, NAS stands for Midway Island Naval Air Station. That’s a long way from Pearl Harbor and why would the casualties of Midway Island be added to the Pearl Harbor casualties list? More research. Then I found a article on the “The First Bombardment Of Midway Island”. On December 7, 1941 The Japanese bombed Midway Island after the bombing of Pearl Harbor. As two Japanese ships passed the Midway they started shelling the small island. 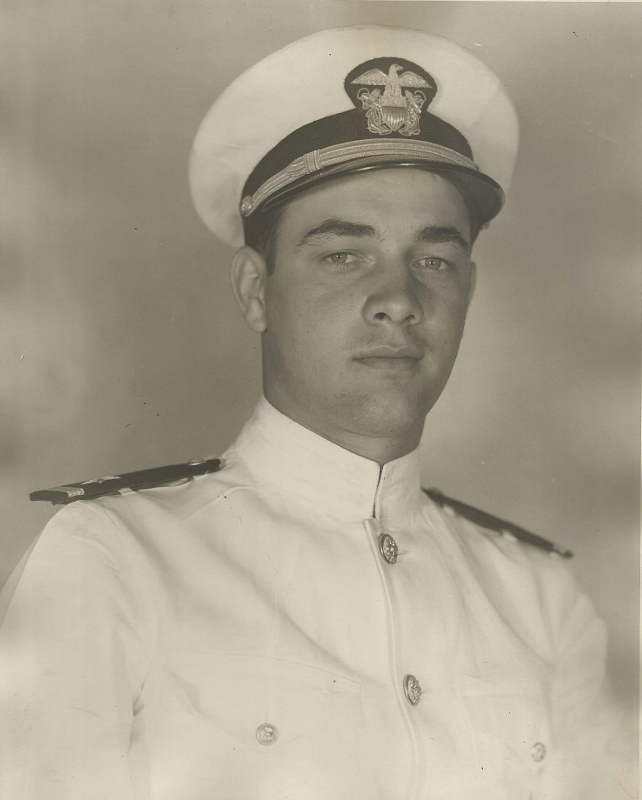 Four men were killed that morning including Ensign Donald J Kraker. There was the connection. The information was a reference statement to the day and not exact assignment of Donald. 5 years ago I might have not been able to do this research from home. I continued to look the internet over to research some questions that were still lingering in my mind. The Wall of Stars. How many men does each star represent? One Hundred. There were over 2402 names listed in the data base that were killed on December 7th and the first 25 stars were added to the wall. The final total count on the wall was 4,048 stars. As I continued to research the memorial I found an area were the general public could make a donation and honor someone in WWII. I did a search for “Kraker” and several names returned. I clicked on Donald’s name and found Laurel’s Uncle Joe had made a donation in honor of Donald. Uncle Joe also did a donation for himself for he too was in WWII. 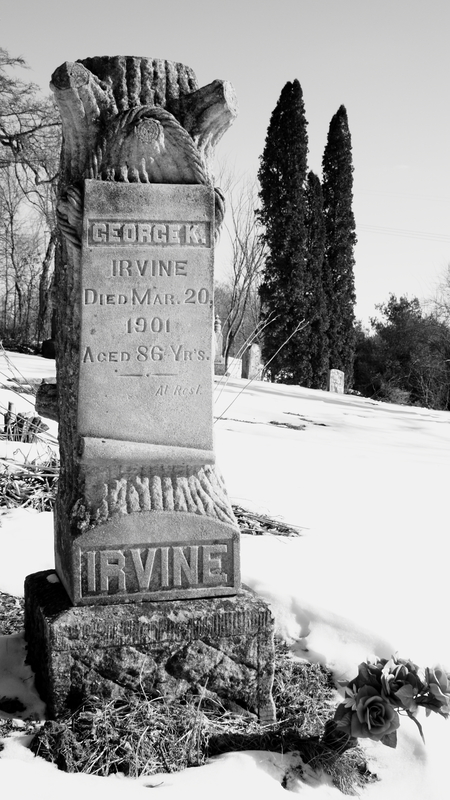 He joined late in the war effort but was still part of the Navy.